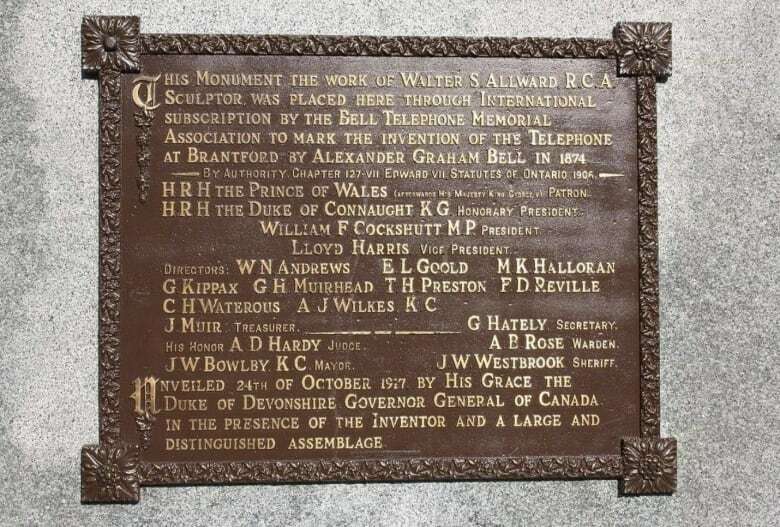 A 101-year-old bronze plaque pried off a memorial commemorating the invention of the telephone has been returned — only a little worse for the wear — after being missing for almost a week. The heavy piece of metal sat on a massive memorial dedicated to Alexander Graham Bell for more than a century before it was broken off sometime on March 20. City officials issued a public plea for help finding the “cherished” plaque and it appears their calls were answered Monday. Police say they received a tip from a member of the public around 5:30 p.m. about a historical plaque that had been spotted on Marlborough Street. “We are thrilled to announce that the plaque has been returned to its rightful place in history!” the city announced in a post on Twitter along with a photo showing a smiling staff member posing with the plaque. The picture shows one of the plaque’s flowered corners is cracked where the metal was bolted to the monument. Police thanked the public and media for helping spread the word. No charges have been laid so far, but investigators say the case remains open.